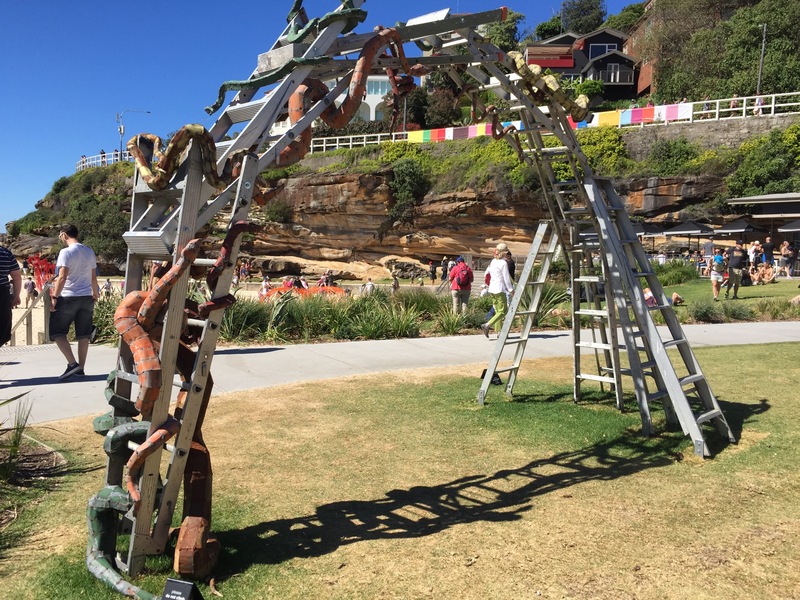 As a prominent part of my life lately, this classic game based on luck made its most unexpected appearance during Sculptures by the Sea. And I couldn’t help but chuckle to myself. Have you noticed that the squares has virtues and vices? They are meant to represent the morality of life where virtues climb you up a ladder (and I guess take you up the scale of being) and vices drop you lower. In any case a classic that remains popular over the years. I see why it would become a sculpture.